Seattle’s Capitol Hill is one of the highest density urban neighborhoods in the Northwest. The goal for this project was to integrate a 10,000 sf library and parking onto an existing site, at the transition between the hard urban edge of Seattle’s Broadway Avenue and the softer residential neighborhood boundary to the west. The library consists of an “information commons” flanked by books, meeting rooms and administrative spaces. The commons integrates old and new library activities: it is designed to be flexible allowing access to the latest technology while also providing attractive, comfortable spaces for people to sit and read or study. 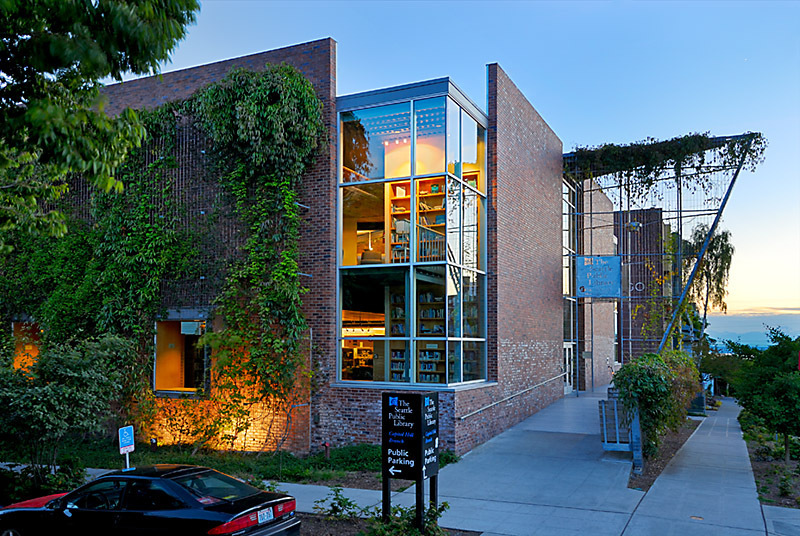 Wrapped in a vertical garden, which extends into the building’s interior space, the library provides a tranquil and natural refuge just one block away from the hectic urban pace of Capital Hill’s retail and night life corridor. Libraries, as the living rooms of the community, have to be warm, inviting places to curl up with a book on a rainy Saturday afternoon. They also have to be highly functional with cutting-edge technology for those studying or conducting research. 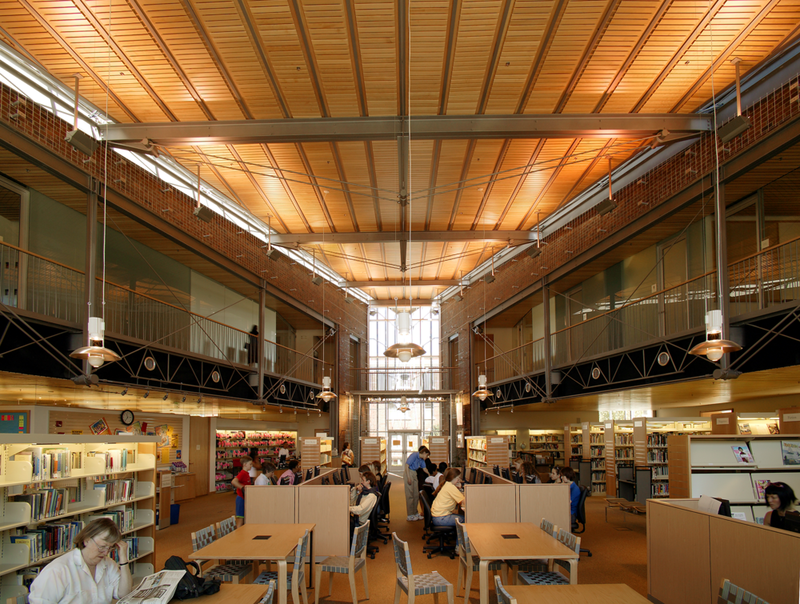 The Capitol Hill Library is a study in counterpoint on many levels, taking the best features from each side of the spectrum and fusing them together. The result is a space that defies definition and facilitates the relationships between disparate elements effortlessly.